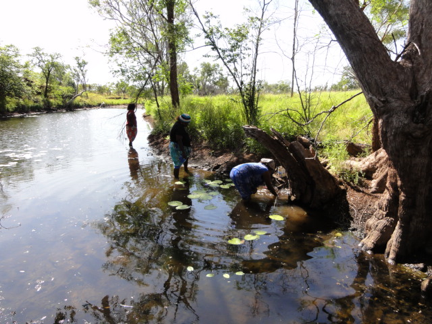 The aim of the project is to document the linguistic and cultural knowledge of the remaining few hundred speakers of several language varieties belonging to two language groups in the Victoria River District in Northern Australia. These varieties are Jaminjung, Ngaliwurru and Nungali (members of the Jaminjungan family, one of the Non-Pama-Nyungan language groups) and Gurindji, Ngarinyman, and Bilinarra (belonging to the Ngumpin subgroup of the Pama-Nyungan language family). These varieties (and in addition English, Kriol, an English-lexified creole, and Gurindji Kriol), constitute part of a single network of multilingual communicative practices in the region, since the speakers of these languages have been in close contact for probably centuries.